From across the multiverses I call upon my Guardian families to join me now. My unification is demonstrated in the waves of Omni Love – I sound my heart tone to you now. My energy template updated, renewed and forever perpetuated in the Eternally sustained Light. My Alchemical Container is consecrated and dedicated to the Purposes of One, and I endeavor to be the Knower of God to then be the Way Shower of God. Please sustain me in the Eternal Power of my Consecration. I have asked for Gatekeeping in order to hold my mission, my mutual highest purposes in Service to the One Light, Our Source, The Living Light Code. My intention is Unification – the Cosmic Christ Principle – as an Energetic Reality, here and now. 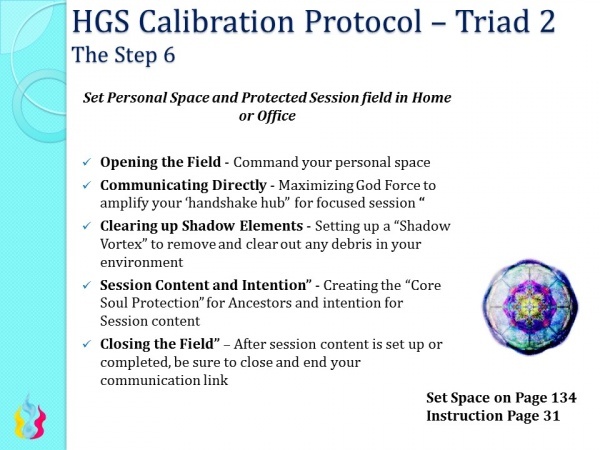 I request the Handshake to fortify my spiritual links through the Universal Cosmic Triad, and into the Core of One, the Zero Point God Matrix, that which is the source of my genesis. With deep reverence for all of Life, Dear God, Breathe your Life Codes into my created form. I set my intention now to remember that which I Am fully, completely and totally. I state my mutual purpose as One, please resurrect all inorganic patterns to organic Living Light Now. And to that I say, Thank God I AM the Living Eternal Light. And so it is lovingly decreed. With regular use, the Unity Vow becomes entrained with the nervous system and, once entrained, simply stating “Unity” will be sufficient to activate the Handshake Hub to Krystal Star. In the name of the One Self God Self, Our Aurora Portal Networks, Those Serving the Sacred Law of One. I serve UNITY! Quick connect to 12D Hub for quick reinforcement of the 12D Shield, Simply Imagine a spark of Pale Silver Light at the Pineal Gland, exhale it rapidly towards the Earth’s 12 D Frequency Hub and imagine the Earth’s Frequency Hub spinning, call to mind the Pale Silver Cord and Inhale all the way towards and around you, forming the Pillar, then attaching it “out into deep space” to the Star of Pale Aqua Blue Light. We Ask The Guardians, Councils of our Higher Selves, Ascension Evolution Support Teams, Christos Starseed Identity Matrix, aligned to the Law of One Mission to work together for the highest capacity of exchange of God’s infinite light, love and power in divine right order and harmony.Please Open the 12th Dimensional Vortex in counter clockwise motion into full expansion in the Celestial Christ Force Of Platinum White Light, Grid this Space entirely in the 12th Dimensional Christ Light. Set the Spin Accordingly, Calibrate, Anchor Lock and Seal in this Hologram. North South East West – Earth- Sky: We direct the Four Corners to Be Sealed in the Light of Unity and Oneness. We Are Impenetrable and Invincible. We ask the Aurora Forces to Anchor this Space Sacred in Service to the Law of One of which We Serve. I claim my Divine Inheritance and Self Sovereign God Power NOW! I choose the Patterns of Perfection NOW For all Human Beings! I AM THE DIAMOND SUN NOW! See the 12D Portal spinning outward in concentric circles opening and expanding around you. Open the session in service to Law of one and Invite the Christos Races to connect and anchor in. Reconnect and axiatonally align all etheric axiatonal and meridian Channels to the Krystahla and Aurora Earth Frequency Hubs in order of priority as necessary. Align and open the handshake to the Aurora Home Soul Frequency through my Krystic Identity in the ascending hubs. Recalibrate, Synchronize and Align. I harmonize and HOLD this space in the name of One Self God Self. As witness of One I seal this into the Light of Union and Wholeness in Service to the One Self. Take this through the Morphogenetic Field and subtle energy systems all levels and components of my Being. Fully, Completely, Totally and Permanently. Anchor Lock and Seal through the Hologram. Anchor Lock and Seal through the Time Matrix. I command this space in the Sacred Sovereign of One. Beloveds, We thank you for this Opportunity. It is with great joy and reverence we are Home. Our Infinite Stream of Love is with you in ALL ways.And SO it is. We Seal and End this Session into the Light of Wholeness and Union. This page was last edited on 10 September 2015, at 03:49.